 Take an exclusive look at the Stage 1 Vail Circuit course with Taylor Shelden of Jelly Belly Pro Cycling, Lachlan Norris of UnitedHealthcare Pro Cycling and Chris Winn of 303 Project. Stage 1 features a short but intense circuit through the streets of the mountain town of Vail. The riders will have to deal with cobbles, sharp corners, gravel roads, steep climbs and more, in what is sure to be an action packed race. The race will start by Mountain Plaza where they will instantly tackle the main feature of the day, the dirt climb to the KOM on Mill Creek Road. The dirt road is used as a ski slope in the winter and by mountain bikers during the summer adding to the challenging nature of this climb for the riders on their road bikes. The race will display many of the highlights of the Vail Valley going through West Vail, East Vail and Vail Village. Be sure to mark your calendar to be part of the action when pro bike racing makes its return to Vail on August 16!